Jeff was born in New Westminster, and attended Langara College in Vancouver. Jeff was granted the use of Canadian Residential Appraiser (CRA) in March, 1993. He purchased Strand Appraisals in November 1998 and formed Strand & Godfrey Appraisals. He was granted the use of Accredited Appraiser of the Canadian Institute and Professional Appraiser (P. App) in April 2000. Jeff is a current member of the Professional Qualifications & Competency Committee, of The Appraisal Institute of Canada. He was a past director for the BC Association of the AIC and a past chairman of the Advisory Planning Commission in Nelson. Jeff has served as an Expert Witness for the BC Supreme Court and is a member of the BC Expropriation Association. Before creating SGA, Jeff was employed at CH Godfrey Appraisals in Prince George. Adrian was born in Edmonton, Alberta but was raised in Errington on Vancouver Island. After completing a Bachelor of Arts in Economic Geography at Simon Fraser University in 1997, Adrian moved to Trail and worked for Household Finance Company as a senior account executive dealing with personal lending and residential mortgages. Adrian joined Strand & Godfrey Appraisals in July 2000 and under the mentorship of Jeff has completed residential and commercial valuations. Adrian has also provided mentorship training of new residential appraisers for the firm. He is nearing completion of the Canadian Residential Appraiser designation requirements through the UBC Appraisal Institute of Canada Program. Kendra was born and raised in Nanaimo, BC. Shortly after high school, Kendra moved to Victoria and spent the next several years traveling internationally and attending the University of Victoria. In 2011 Kendra graduated with a Bachelor of Arts Degree in Coastal Geography and moved to Vancouver where she worked for a non-profit environmental organization. 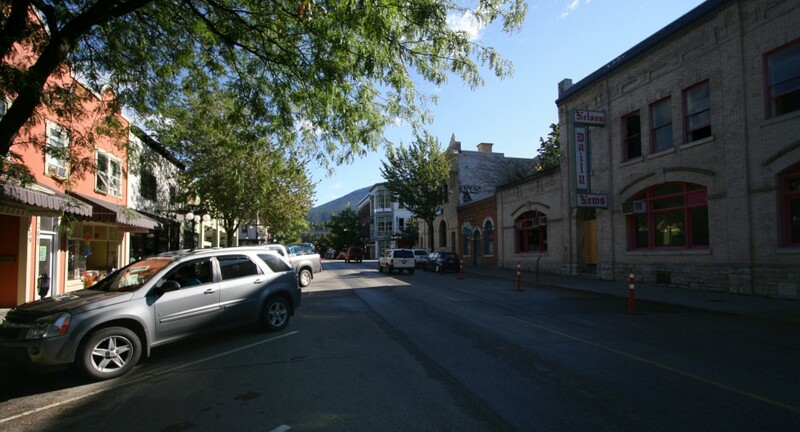 Looking for a change of pace (and an affordable place to live), Kendra moved to the Kootenays. She started working for Strand and Godfrey Appraisals in the winter of 2012 as the Office Manager and Appraiser Assistant. In 2013, Kendra enrolled in the UBC Appraisal Institute of Canada Program and started working towards an AACI designation. With Jeff as her mentor, Kendra has completed both commercial and residential appraisals. Alana was born in Comox, BC. During high school, Alana moved to Castlegar where she attended Stanley Humphries Secondary School. In 2012, Alana received her GED. Alana settled in the Kootenays and focused on her children and family before beginning her career at Strand and Godfrey Appraisals. When not working or spending time with her family, Alana enjoys hiking, yoga, and painting. One of Alana’s many responsibilities as Office Assistant is to be the friendly voice on the phone – she is happy to help our clients with their questions and appraisal requests.